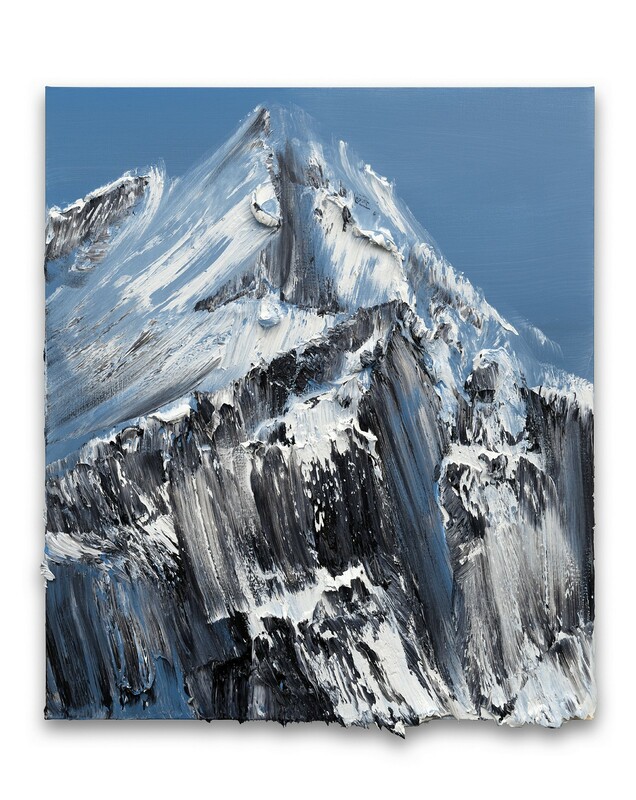 From 25 January until 2 March, JD Malat Gallery in London will be presenting the first UK solo show by Conrad Jon Godly. 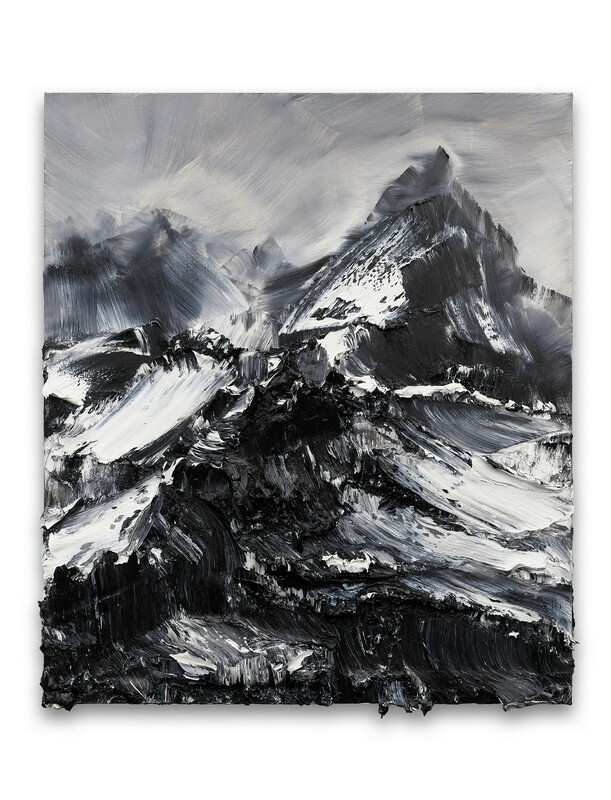 To See is Not to Speak consists of 15 new pieces, marking a comeback for the Swiss artist’s most recognized series of texture-intense, photo-realistic mountains. 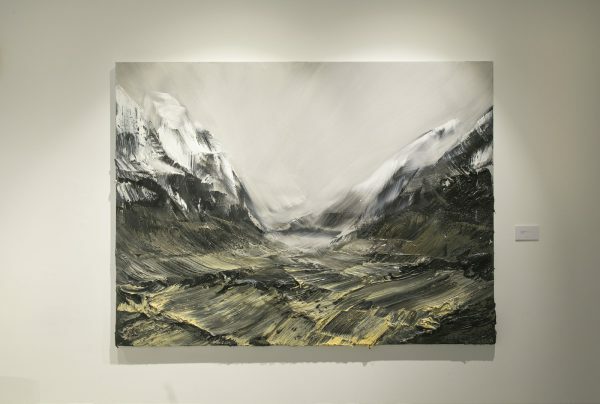 The show title is taken from a quote from Japanese author, Kobayashi Hideo – “To see is not to speak, because words could distract your eyes” – and is indicative of the artist’s respect for Japanese culture which taught him the art of mindful appreciation. 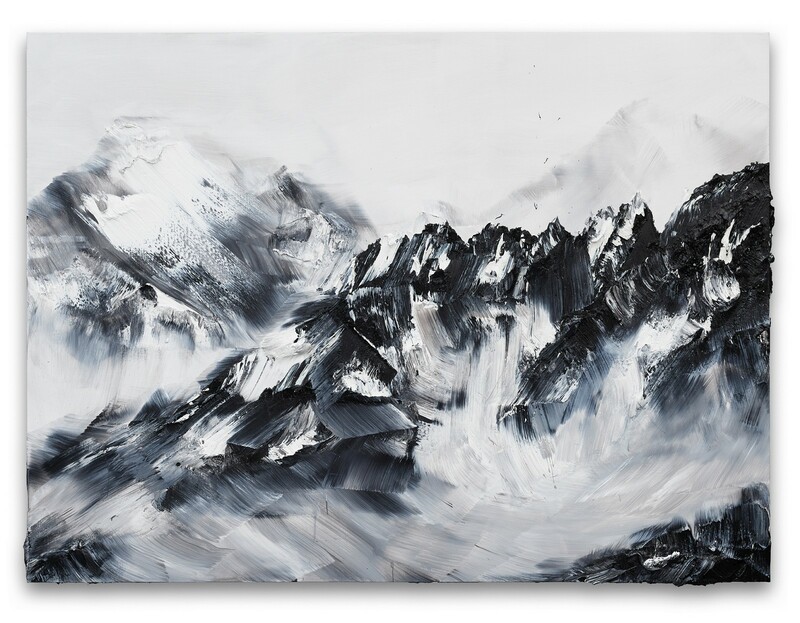 With a technique similar to traditional calligraphy, Conrad’s meditative painting process results in the completion of painting in one single, uninterrupted session filled with quick, energetic brushstrokes that result in striking, semi-sculptural paintings. 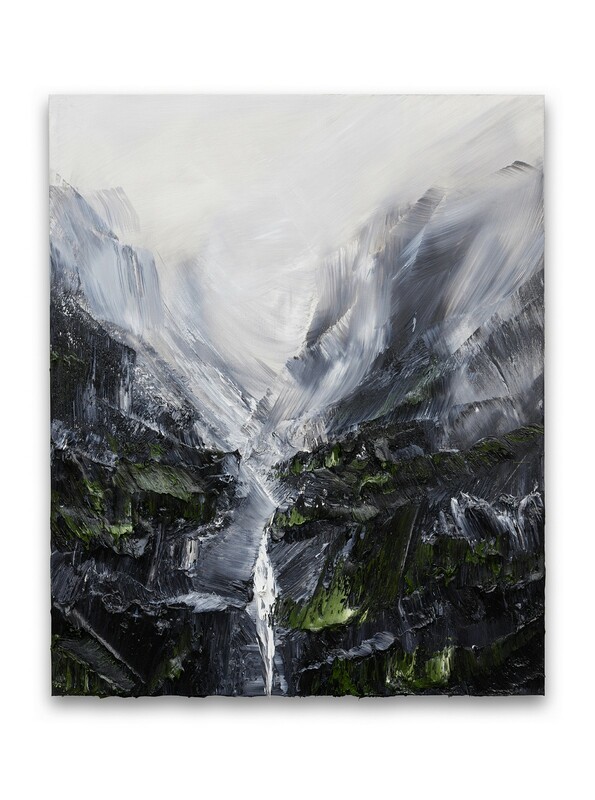 Inspired by the surrounding of Swiss Alps in his homeland, Godly started rendering these humbling landforms years ago after quitting his successful career as a fashion photographer and going back to the painting studio. 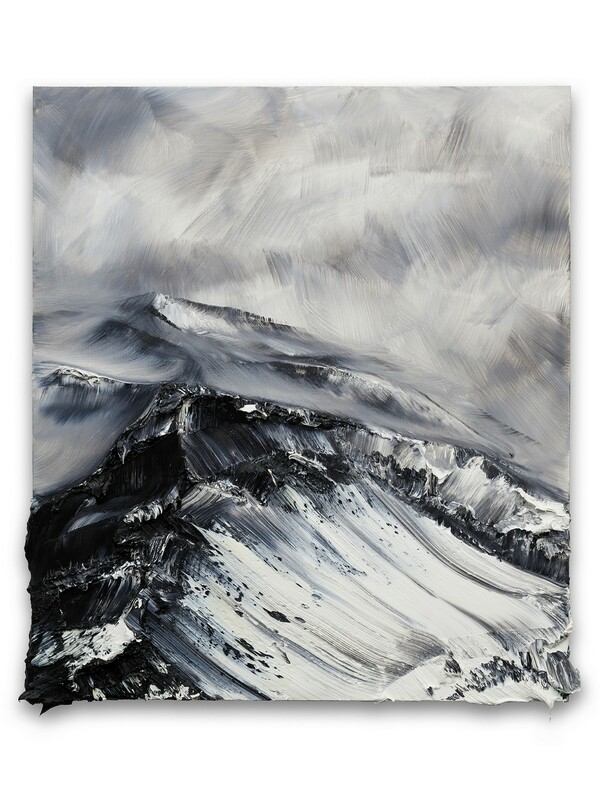 Aiming to capture their majestic spirit and moody atmosphere, rather than the surface beauty, he developed an expressive technique dominated with thick and heavy impasto marks as the base of his images. 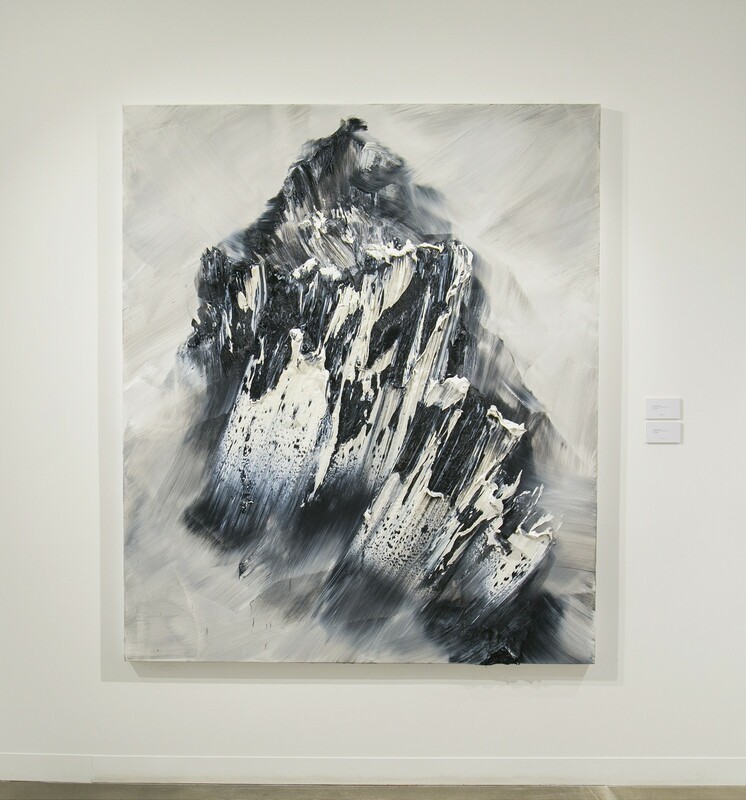 Resulting in texture-rich paintings that appear abstract from up close, but reveal their photo-realistic renderings of cloud-covered peaks from a distance, this series of works has been introduced worldwide from Switzerland to Japan. 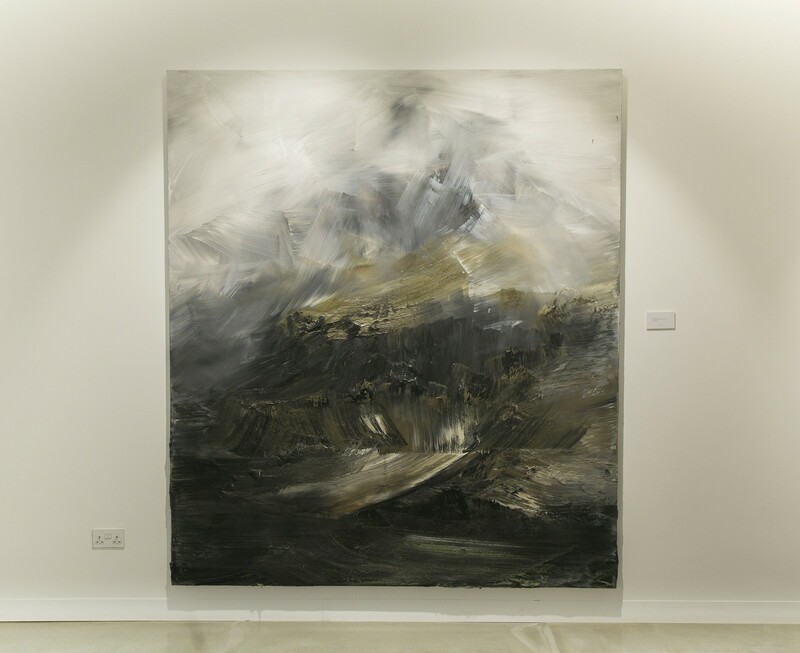 After several years of working with other subjects, the artist decided to revisit this body of work and has created a new series for his London solo debut. 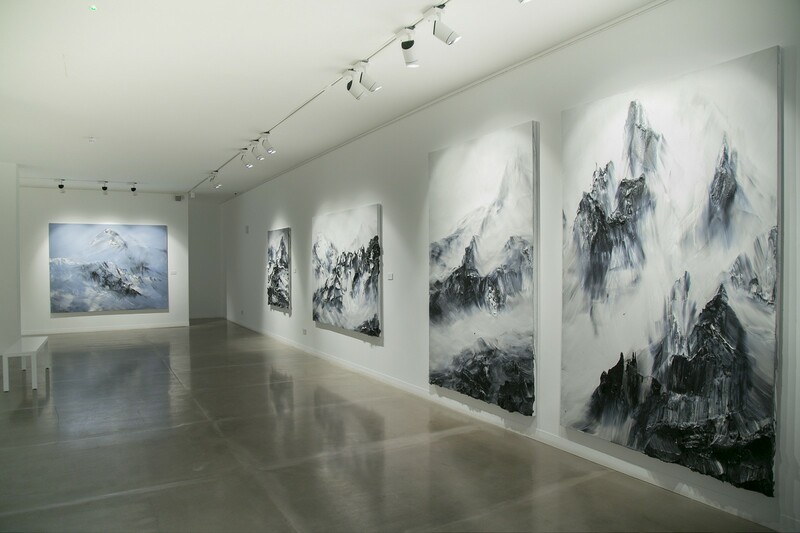 Including more mist and cloud effects and concealing more of the mountain ridges, crevasses, and peaks, To See is Not to Speak is dominated by raw black and white images that are fully focused on the artist’s goal to capture the mood and feeling of the light and reflection of the moon on snow.